DID YOU KNOW? – Hello? I Forgot My Mantra. Published on December 6, 2013 by i forgot my mantra. 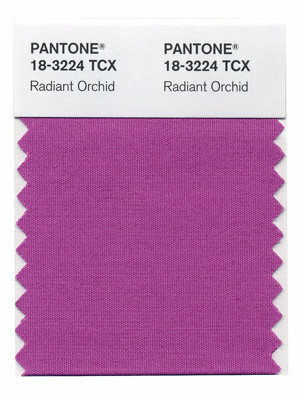 The Pantone color of the year is Radiant Orchid. Or Fuschia, as it is more commonly known. I don’t really know how I feel about this. Like, am I supposed to go paint my apartment Radiant Orchid? Or start to work this jewel-tone into various facets of my life–my post-its at work already come in this hue. And it isn’t a flattering color for my skintone. And I am not wearing fuschia eye shadow. What’s a girl to do? Next WELL THE WEATHER OUTSIDE IS FRIGHTFUL.